Encino, CA – October 10, 2014: Rose, Snyder & Jacobs is proud to announce the publishing of “Five Eyes on the Fence: Protecting the Five Core Capitals of your Business” by founding partner and author Tony A. Rose. The book debunks the myth that a business’s health is judged by its bottom line alone (by its financial capital). Rose demonstrates the importance of the five core capitals of a business functioning together – Financial, Human, Intellectual, Social and Structural – with a mix of case studies and exercises. “Five Eyes on the Fence” has already been selected to be featured on the Harvard Business Publishing website, and Rose will be sharing his thoughts behind the book at the Russell Bedford International conference in London on Saturday, October 11, 2014. Rose, Snyder & Jacobs is a member firm of Russell Bedford International, a Global Network of Professional Services. In Rose’s first book “Say Hello to the Elephants” he presented a four-part, client-tested process for reaching clarity for a business, turning obstacles into opportunities, and crossing the finish line. 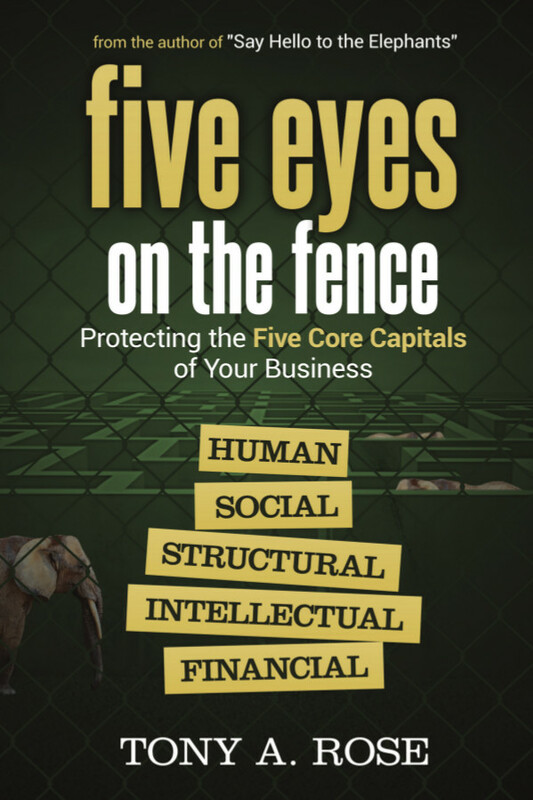 In “Five Eyes on the Fence” he proves that financial capital is a by-product of four other capitals: (1) human capital; (2) intellectual capital; (3) social capital; and (4) structural capital. By exploring both positive and negative case studies, readers learn to consider these five capitals as an intricate web, making decisions according to the interplay between each of the capitals rather than focusing all of their energies on the cold, hard and logic-driven financial statement. At Rose, Snyder & Jacobs, the firm is more mindful than ever before that its clients want a comprehensive take on their businesses. The accounting, tax and management teams are sensitive to how that advice influences each of the five capitals. “In short, all of us need to be keeping our eyes on that fence,” adds Rose. “Five Eyes on the Fence” is published by Business Expert Press and is available on Amazon (affiliate link), Kindle, Apple, B&N.com and other retail outlets.